It is said that in order to truly love something you must also fear it. Sitting on a stick of driftwood on the pebbled beach this evening, I realized that I was, again, in love with the sea. The thunderous wonder that claims so many lives yet cures much heartache. It was the first time I had ever heard the slow conclusion of water-over-pebbles – The beach where I was borne had only large bed-rock with smoothly progressing waves. 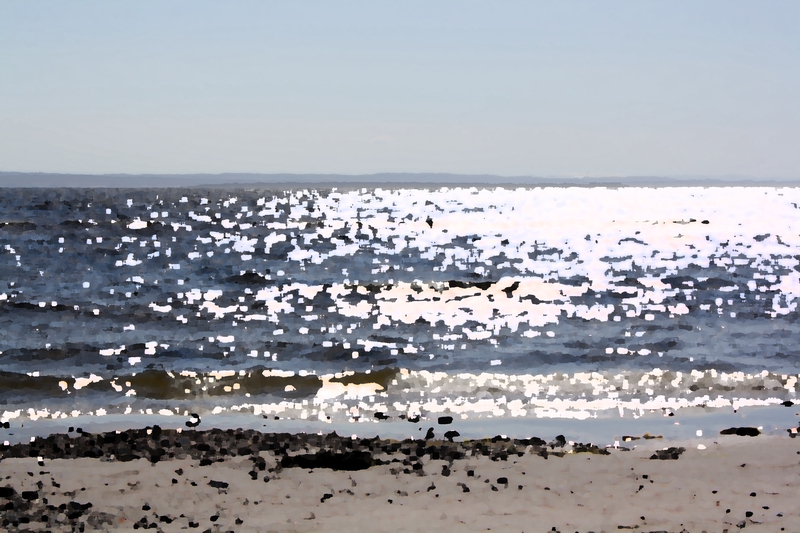 It was the first time since I had left that beach that I got caught up with the sun flickering on the water. I lost myself entirely in the roar of waves. The thoughts that had been plaguing me the past month had dissolved with the sand. Traffic raced behind me on the highway, just five or six metres away. I thought I had lost my soul’s soul, but I found it again at the shores of the Crossing. If there is one thing you do this summer, let it be this: sit alone at the beach. Focus only on the sound of the waves, the feel of the breeze in your hair and the taste of salt-sea mist. As the sun goes down, think about the positives in your life.